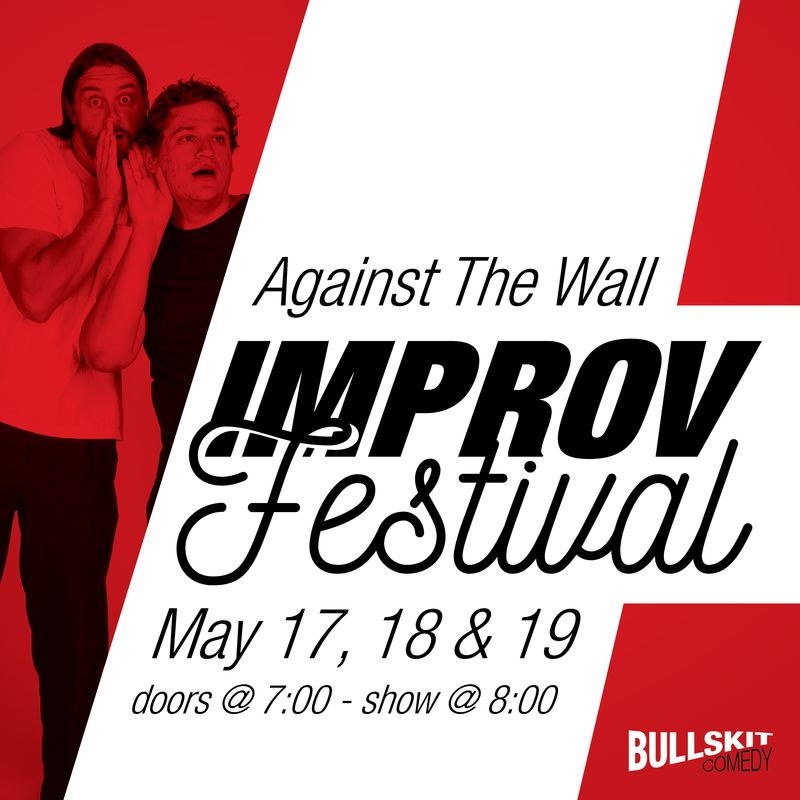 Bull Skit Comedy presents Improv Festival! Happening May long weekend: Thursday May 17th, Friday May 18th, and Saturday May 19th at 8 pm at the Scott Block. Tickets are available in advance online at www.BullSkitComedy.com ; tickets are each, or a Three day Festival pass for only . Bull Skit Comedy’s unique and hilarious blend of improv and original sketch comedy has made it Red Deer’s favourite source for laughs. We are so excited to bring you an Improv Festival that features 9 new formats and 21 performers?. Thursday Night enjoy ‘Provfessional Wrestling’, where improv & wrestling meet, ‘Booth’- a form completely inspired by the technicians, and ‘People You May Know’, a Facebook exclusive. Friday Night we have ‘Motel’, where we get a glimpse of the diverse stories and people that inhabit a Motel room. ‘Neighbors’, a form all about the secrets your neighbors are hiding, and ‘Ponzi’- a fast, fun and high energy format. Lastly, on Saturday Night we have ‘4’s A Crowd’- who will break first? ‘Communism’- who will come out on top? and ‘Survivor’- who will out-wit and out-play? So many exciting formats each and every night! Come at 7:00 PM and enjoy a Happy Hour Treat! A format inspired by the transit systems of Europe and America, ‘The Crowded Train’! Doors open at 7 pm, and the show starts at 8 pm. Please note that Bull Skit contains mature language and adult themes. For more information please visit www.bullskitcomedy.com. The Bull Skit troupe is also available for parties or staff development exercises. To book something unique for your event, contact Jenna at 403-872-6706. Come watch… no, CELEBRATE Grease on the Big Screen again! RDC Showing and SING ALONG!! 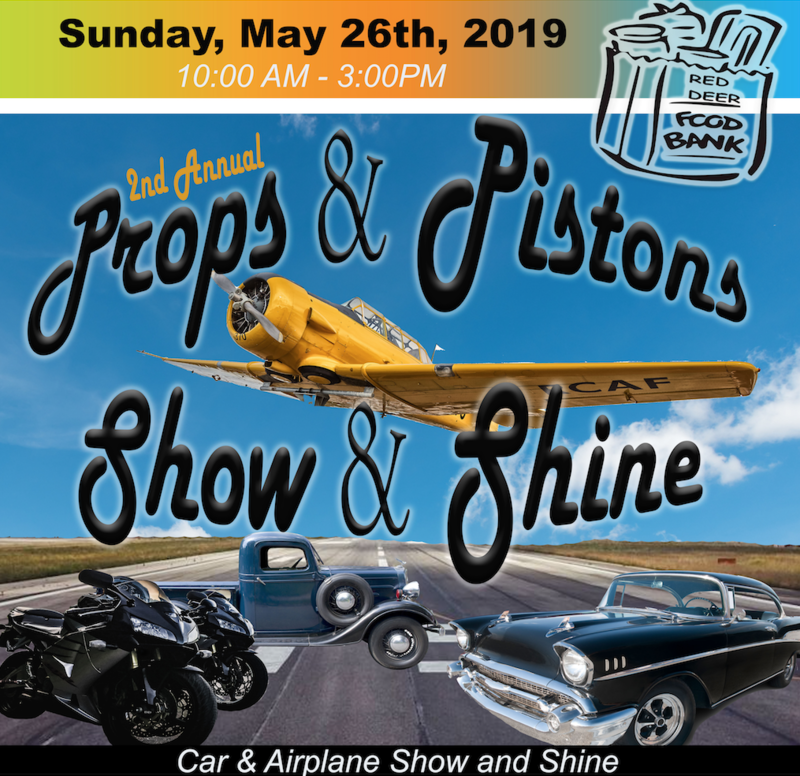 The Red Deer Airport is happy to once again host the Props and Pistons Show and Shine, May 26thin support of the Red Deer Food Bank. Last year, with thousands in attendance, the Red Deer Airport was able to raise $4,035.29 Cash, and 2,305 lbs of food in a short 5 hours! With Airplanes and vehicles on display, and dozens of food trucks on site, it is a fantastic way to spend the day and explore the many businesses that reside at the Red Deer Airport (including flying schools, fire suppression, general aviation, and civil air search and rescue!). This year’s event will also feature a few special aviation guests who are sure to please the crowd! As always, parking is free at the Red Deer Airport, and admission to this event is a cash or food donation for our Red Deer Food Bank. There will be trophies awarded for Fan Voted favorites in Aviation and Vehicle categories! Looking to learn more about ways the Red Deer Airport was able to give back to the community in 2018? Visit our AGM on May 9thfor more information, and your chance to win Gift Certificates from Swoop, Westjet, and Sunwing Vacations! For any questions regarding the Props and Pistons Show and Shine, or our AGM held May 9th, please feel free to contact Nicole Holinaty at n.holinaty@flyreddeer.com, or 403-352-1908. 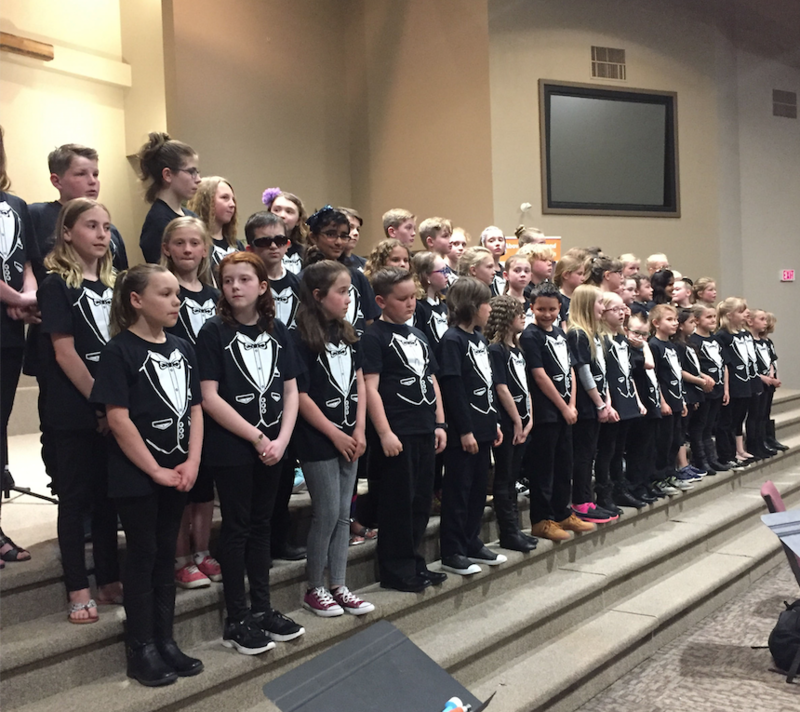 Elementary schools in Red Deer Public and from around Central Alberta have been perfecting their vocals in anticipation of Choir Kids. The event, which sees student choirs perform with the Red Deer Symphony Orchestra, takes place April 29 and May 6 at New Life Fellowship Church. Ramsden sent the school’s choir music to Red Deer Symphony Music Director, Maestro Claude Lapalme, who initially started the event, and he arranges it for the Symphony to play. The Symphony then accompanies the choirs. Preparations for the event start right after Christmas and along with Red Deer Public, school districts in the surrounding area are participating as well. The partnership is truly a win-win. “We’re pretty lucky in Red Deer to have a Symphony Orchestra. We’re a small city and it’s good for the RDSO as well as for our schools. They get to reach out to people who normally wouldn’t come to a concert. It’s a great community outreach event, said Ramsden. Tickets can be purchased online at rdso.ca.